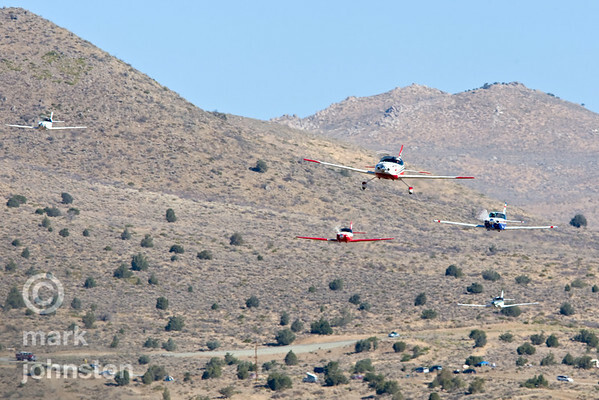 The Sport Class at the National Championship Air Races, held each September outside Reno, Nevada, USA, is populated by commercially-available "kit-built" aircraft. 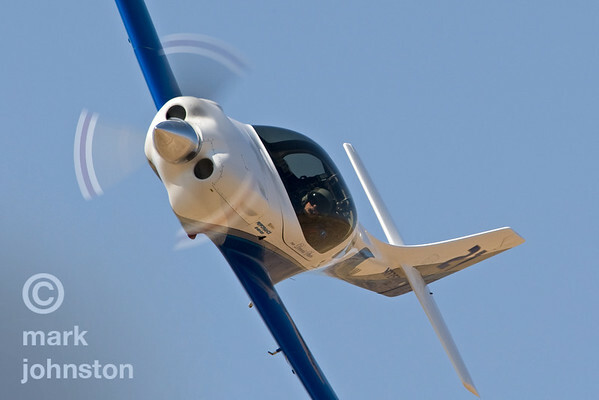 It is one of the fastest growing classes, and also the class that is "growing faster" every year, as new powerplant and airframe technology becomes available. 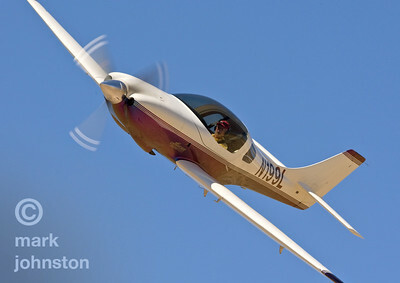 The class recently created the so-called "Super Sport" class, in which the aircraft are allowed to have larger engines and more exotic fuel systems. 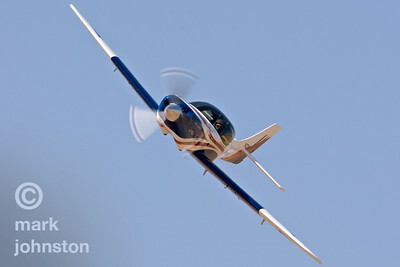 The Supersport aircraft are now reaching into the 400 mph-plus speed range at Reno - a domain until recently only reachable by the faster warbirds in the Unlimited Class and the ex-military aircraft in the Jet Class. 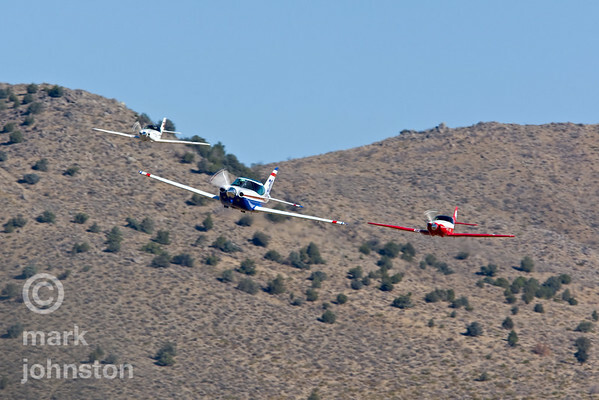 Dave Morss and Sport Class Race 21, a Lancair Legacy, during qualifying at the 2007 National Championship Air Races in Reno, Nevada, USA. Morss qualified in third position with a speed of 266.793 mph, but withdrew on lap 2 of the Supersport Gold race later in the week. 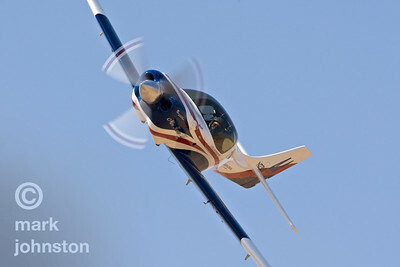 Kevin Eldredge and "Relentless", a Nemesis NXT, Sport Class Race 5, during a qualifying run at the 2007 National Championship Air Races. Eldredge and "Relentless" qualified in seventh position with a speed of 320.049 mph, and went on to finish fifth in the Supersport Gold race at a speed of 336.526 mph. 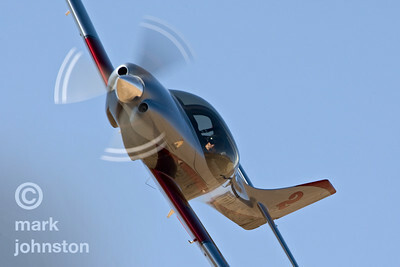 Lynn Farnsworth and "Miss Karen", Race 44, a Lancair Legacy, during a Sport Class qualifying period at the 2007 National Championship Air Races. Farnsworth and "Miss Karen" qualified in fourth position with a speed of 340.166 mph, and went on to finish fourth in the Supersport Gold race at a speed of 350.882 mph. 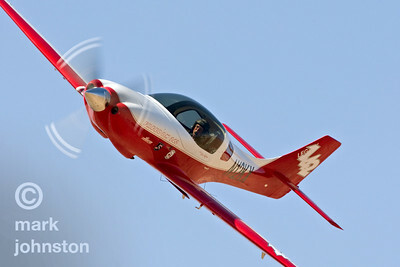 Bob Jeffrey in "Lady in Red", Race 142, a Lancair Legacy, during qualifying at the 2007 National Championship Air Races. 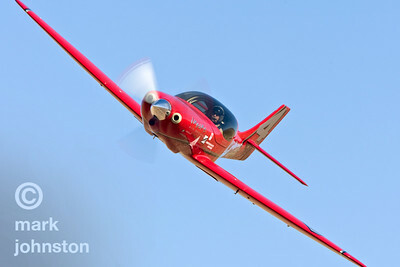 Jeffery and "Lady in Red" qualified in 21st position in the Sport Class with a speed of 265.875 mph, and went on to finish fifth in the Sport Silver race at a speed of 275.278 mph. 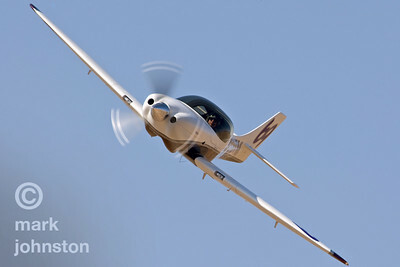 Vince Walker and Lancair Legacy "Modo Mio", Sport Class Race 2, during qualifying at the 2007 National Championship Air Races. Walker and "Modo Mio" qualified in tenth position with a speed of 292.584 mph, and went on to finish fourth in the Sport gold race with a speed of 291.560 mph. 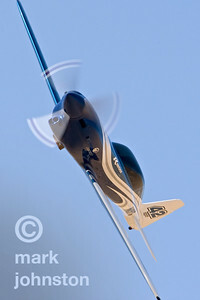 Tom McReynolds and Sport Class Race 69, "Poky", a Lancair Legacy, during qualifying at the 2007 National Championship Air Races. McReynolds and "Poky" qualified in fourteenth position with a speed of 283.261 mph and went on to win the Sport Silver race with a speed of 286.858 mph. 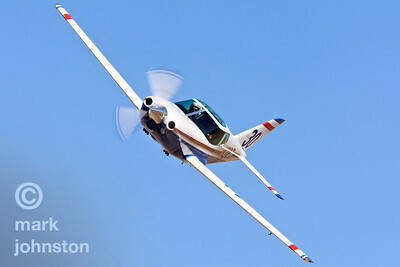 Jeff Lavelle and Race 39, a Glasair III during a qualifying run at the 2007 National Championship Air Races. Lavelle qualified in 11th position at a speed of 292.193 mph, and went on to a sixth-place finish in the Sport Gold race with a speed of 283.252 mph. 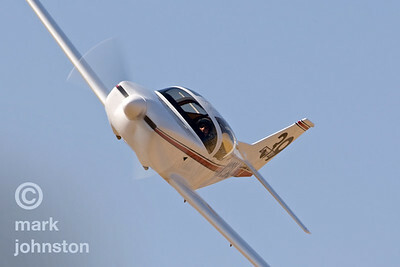 Jim Vitale and Sport Class Race 30, "Sugarplum", a Swearingen SX300, during qualifying at the 2007 National Championship Air Races. 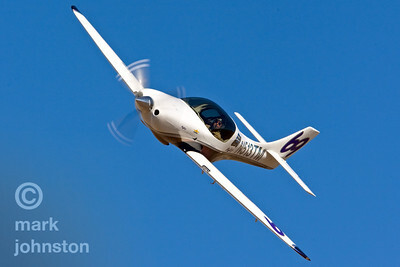 Vitale and "Sugarplum" qualified in 17th position with a speed of 278.921 mph, and went on to finish fourth in the Sport Silver race at a speed of 275.303 mph. 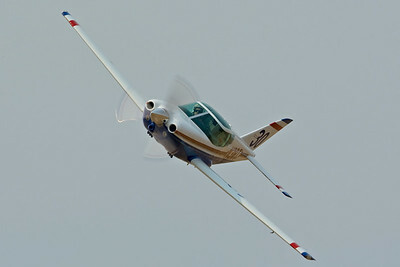 Ernie Sutter and "Jus Pass'n Thru", Race 66, a Lancair Legacy, during a qualifying session at the 2007 National Championship Air Races. Sutter qualified in 16th position with a speed of 279.850 mph, and went on to finish fifth in the Sport Gold race at a speed of 287.312 mph. 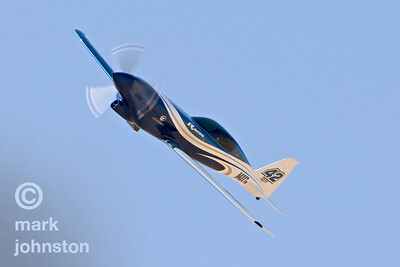 Jon Sharp and Nemesis NXT, Sport Class Race 3x, on the way to a first-place qualifying speed of 386.904 mph at the 2007 National Championship Air Races. 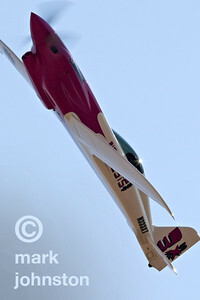 Sharp and Nemesis went on to win the Supersport Gold race at a speed of 385.650 mph. 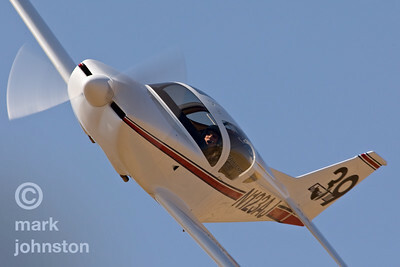 Josh Brungardt and Race 23, "Ludicrous", a Lancair Legacy, during a qualifying run at the 2007 National Championship Air Races. Brungardt and "Ludicrous" qualified in 19th place at a speed of 276.951 mph, and went on to finish sixth in the Sport Silver race at a speed of 274.849 mph. 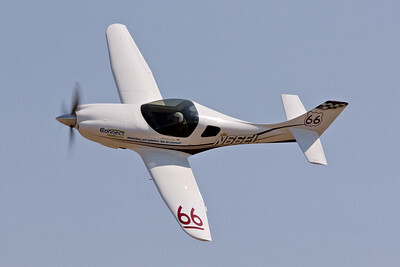 Sport Class aircraft on the west side of the race course during the Sport Gold race, a six-lap race of 50 miles total course distance. 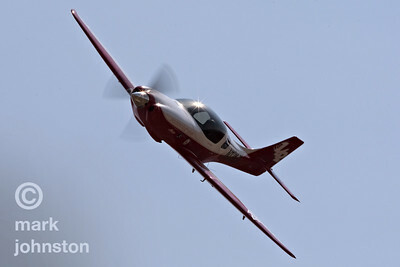 Skip Holm and "Double Red", Race 4, a Lancair Legacy. Race Holm and "Double Red" qualified 15th in the field with a speed of 283.104 mph and went on to finish second in the Sport Silver race at a speed of 285.411 mph. 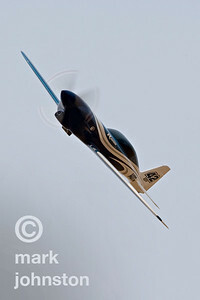 Anthony Crawford and "Chick's Delight", Race 9, a Questair Venture, on the way to a third-place finish in the Sport Silver race at a speed of 279.354 mph. 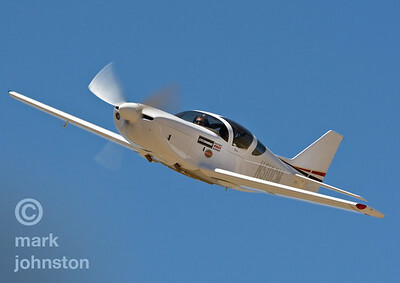 Tom McReynolds and Sport Class Race 69, "Poky", a Lancair Legacy, on the way to a win in the Sport Silver race with a speed of 286.858 mph. 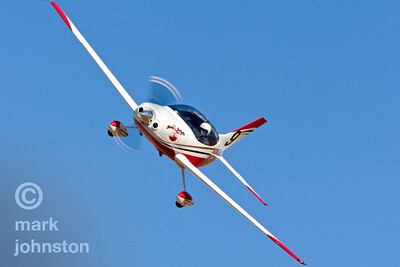 Jim Vitale and Sport Class Race 30, "Sugarplum", a Swearingen SX300,Josh B at the 2007 National Championship Air Races. 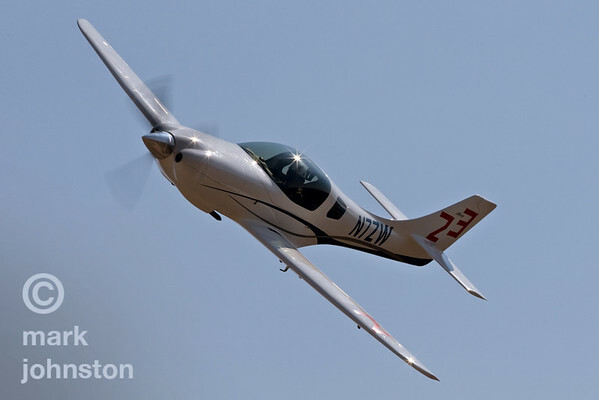 Vitale and "Sugarplum" qualified in 17th position with a speed of 278.921 mph, and went on to finish fourth in the Sport Silver race at a speed of 275.303 mph.